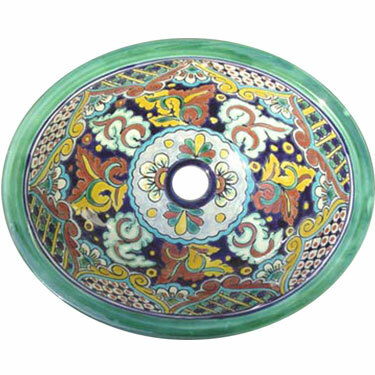 This Toluca Green Mexican Talavera Handmade Sink has a beautiful design. A Mexican Talavera Sink is a great work of art full of color and tradition that you must have, this beautiful Mexican Talavera Sink reflects the great handcrafted work of our expert Mexican artisans. This Mexican Talavera Handmade Sink will look gorgeous in your bathroom.